TZ10 is a compact superzoom from Panasonic which improves the popular Lumix TZ line with GPS and geo Tags and the Power O.I.S image stabilization system. 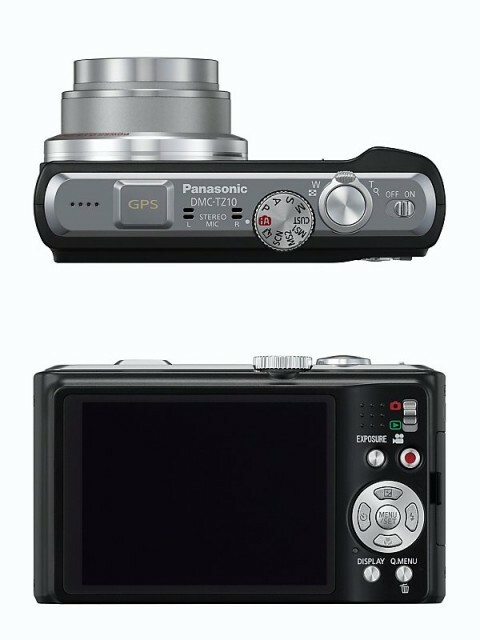 Panasonic TZ 10 is equipped with a 1/2.33 CCD sensor with 12.1 megapixels and is capable of recording AVCHD Lite HD movies. Also the camera features LEICA DC VARIO ELMAR 25mm ultra-wide-angle lens capable of 12x optical zoom. The lens unit is built very compact but have 10 elements in 8 groups, including 2 ED lenses and 2 aspherical lenses with 3 aspherical surfaces which for the size of the camera sounds pretty good. Also the large zoom can be used in both photo and video mode. TZ10 comes with a new image-processing engine called Venus Engine HD II which offers better response times : the shutter release time lag is stated to be 0.006 seconds. The location data where the photo was taken is automatically embedded by the built-in GPS unit with its latitude and longitude in the EXIF data. 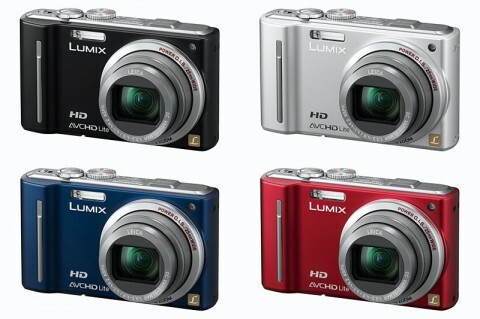 Here are the most popular reviews of Panasonic Lumix TZ10 digital cameras. The Panasonic Lumic DMC-TZ10 is a well-designed, solidly built and extremely versatile camera with a lot of useful features. The 12x zoom, optical image stabilisation, HD video and excellent low light performance are the main benefits, and manual exposure is a nice bonus. The GPS feature is a bit of a gimmick, and drains the battery too fast to be much real use. The Panasonic Lumix DMC-TZ10 is an excellent travel-zoom camera, with the notable additions of manual shooting modes and GPS tracking sure to continue the TZ success story…. …There aren’t too many compact cameras that offer such a compelling combination of size, features, image quality and handling, easily making the TZ10 deserving of our Highly Recommended award. The Panasonic Lumix DMC-TZ10 provides a superb general snapping tool in terms of the subjects its lens focal length can encompass. Image quality is on a par with similar cameras and the features list is particularly impressive at the price too making the TZ10 great value for money.